It’s has been in my vocabulary since June of 1992…. Austin Texas — Keith Lane, Backyard: 3,000 gallon tank, with 300 catfish average of 35 grams, with a floating “Protected flower from Florida State University. The humble attempt worked! All 300 catfish thrived and grew out in 22 weeks; we ate them all! The Plant — singular — became a thick carpet, covering over 80% of the surface — with the most enormous flowers we have ever seen. Then, it took me until 2007 to find the folks at UVI. My wife found them online at uvi.edu. I want to honor this moment with a salute to all journeymen, past mentors, present mentors, future Aquapons; that May 9th 2014 became “World Aquaponics Day!” From here on into the future, we proclaim Aquaponics, in all its forms / margins, to be the answer. By “Journey” we cannot see the destination? By keeping sacred the chant: “Positive is how we live.” All the time honoring the fish we proudly call our own. To the dedication of a craft! To show others you, too, can be part of this exact process. Always striving for excellence everywhere you go. By allowing others the room to grow, even if it is in a coffee can! My family is the light to guide me home every day, every night! Aquaponics journeymen are compassionate; we hang on your every word. A Special thanks to Don Bailey, Frankie (care taker @ UVI), R. Charlie Shultz, plus the thousands of others who made this all possible. With great love I ask, “Can we make the day, May the 9th, “World Aquaponics Day”?. (at their post) Lily Pad Farm, San Marcos, Texas. PS: One last word: YEAH!!!! Fantastic! Great Idea, Adam and Susan!!! The more awareness we gain the more we all benefit! 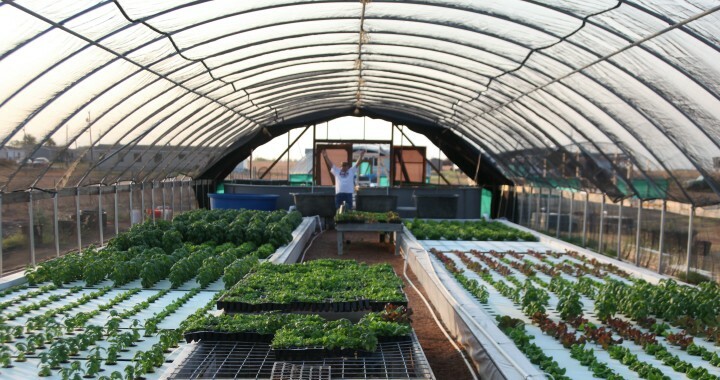 To the Aquaponics producers of the world, BIG and small…I salute you! Happy WORLD AQUAPONICS DAY!! Will celebrate when the word journeymen is update to reflect men and woman of sustainability. Just starting and setting up 2ea 250 gal tote tanks.Looking to find DC.water pumps and not depend on power grid. My name is Bill and I am south of Houston, Tx.. Thanks..